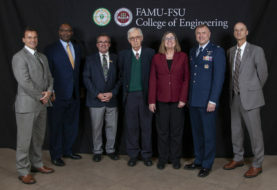 FAMU’s research efforts are front and center during the Inaugural Research Symposium which signaled the start of a series of events to honor Florida A&M University’s 12th President, Larry Robinson, Ph.D. The symposium’s theme, “Excellence Rising,” was reflected as faculty and friends of Robinson recalled their personal and professional encounters with the scientist, who was named permanent president in November 2017. 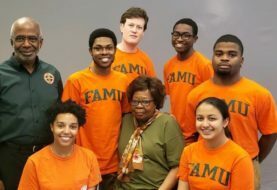 The event highlighted Robinson’s love of FAMU and research, and it featured a performance by the “FAMU Connection,” remarks from Robinson’s colleagues, a scholarly panel discussion as well as a video presentation that served as a visual biography of Robinson’s academic and personal achievements. Moderated by Atlanta’s Turner Broadcasting Senior Producer Denise Hendricks, a FAMU School of Journalism and Graphic Communication alumna, the panel discussion afforded an opportunity to talk with Robinson as well as the panelists. Robinson said, “We have procured more than $45 million of research funding. 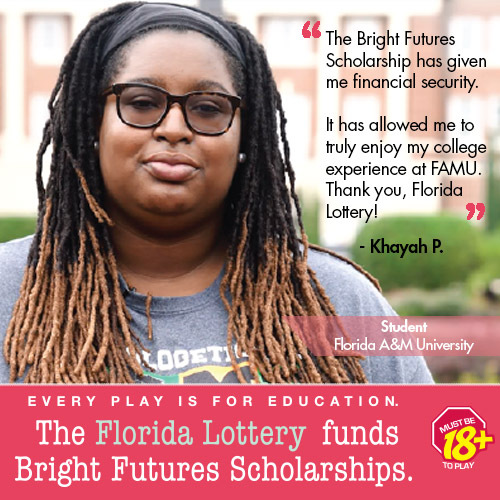 We have the faculty and the expertise to do the research in the right areas that allows you (the students) to go out and do great work; the opportunity for collaboration with national laboratories and private sectors. There are so many possibilities out there to do research. Among the other issues discussed were graduation rates, student preparedness and on campus resources.